Here in New England summertime is the season to bring your family and friends to destin like Lake Sabbatia in Taunton or Boone Lake down in Exeter, RI to cool off with some swimming, water-skiing and recreational boating. Each year however, powerboat accidents, jet ski accidents and speedboat accidents occur on many of these lakes and ponds throughout Massachusetts and Rhode Island causing catastrophic personal injury and accidental death. Propeller injuries – These may occur when the operator of the vehicle fails to see a swimmer in the water and travels straight over them, bringing them in contact with the propeller blades. Needless to say, these injuries can be quite catastrophic and often fatal. A common scenario is when a passenger on the boat itself is sitting dangling off of the bow of the vessel and slip off and under. 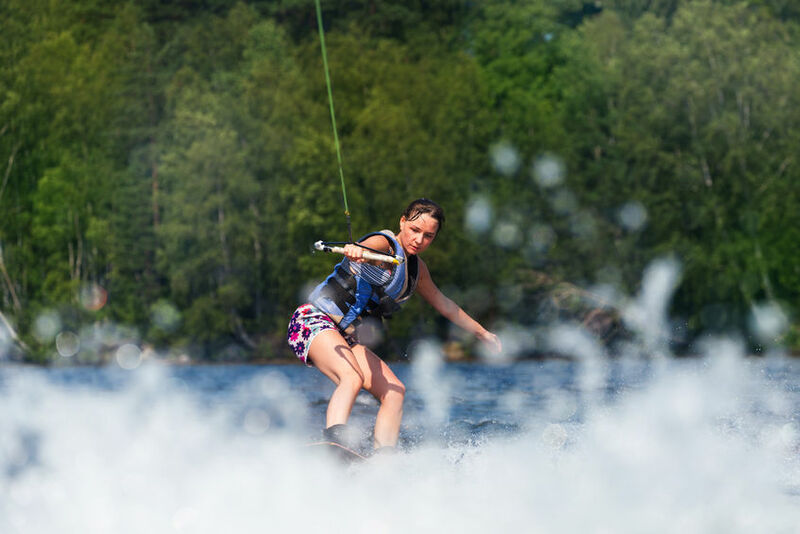 Concussions & Traumatic Brain Injuries – There are many scenarios where a speeding boat may collide with a swimmer, kayak, jetski or another boat causing a high speed impact much like a car accident. The unprotected nature of the passengers could be more likely be compared to a motorcycle accident where the rider has no helmet. Head injuries can vary from a mild concussion to a life-changing traumatic brain injury. Drowning – With any injury sustained in water drowning is a possibility. According to that same U.S. Coast Guard report nearly 80% of all recreational boating fatalities were due to drowning. Operator inattention, improper lookout, operator inexperience, machinery failure, and alcohol use rank as the top five primary contributing factors in accidents. Avoid Alcohol – Many recreational boating accidents occur while the operator or passengers are under the influence of alcohol. It’s important to realize that recreational boating is not all fun and games and just as with operating a motor vehicle, alcohol is strictly prohibited for the driver. Focus On Driving – When you’re out on the water with family or good friends there can sometimes be a lot of action happening on and around the vessel. Much like with distracted driving, the operator of the boat needs to stay aware and focus on driving. Avoid Reckless Operation / Excess speeds – Like cars, many of these recreational boats are built to handle well and hit speeds far beyond what is safe in your average lake or pond. Avoid reckless driving and the temptation of speed, it could save lives. Wear Life Jackets! – The majority of drowning victims were NOT wearing life jackets. Even if they know how to swim, encourage your passengers to wearing their life vests, especially children or elderly. We hope that these tips keep you and your family safe, but you can’t account for the behavior of other boaters. If you or a loved one have been the victim of any type of a recreational boating accident due to a another person’s negligence, contact us to speak with one of our experienced attorneys. We’ll help you to get the settlement that you deserve and help you and your family to move forward.